ProtonMail launches email app for Android and iOS with End-to-End Encryption. 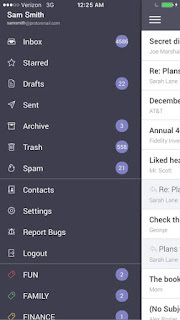 ProtonMail today announces the launch of its app for Android and iOS platforms. ProtonMail is the world's largest encrypted email service with over 1 million users. With the ProtonMail app, you can now create your own free ProtonMail email account and start experiencing the secure email of the future. The ProtonMail secure email app for iPhone and iPad brings easy-to-use email encryption to your mobile device by seamlessly integrating PGP end-to-end encryption. 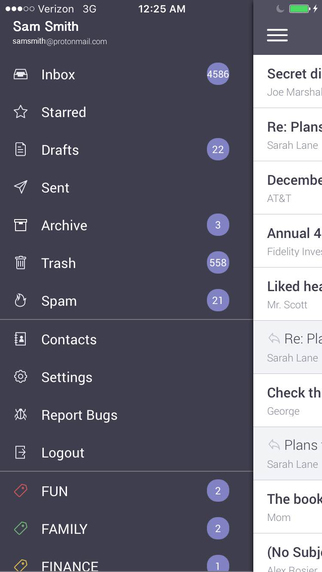 ProtonMail also provides a modern user interface with a full set of innovative features such as customizable swipe gestures and the ability to send expiring emails.